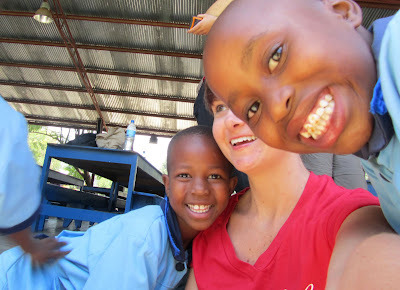 During my time in Tanzania, I was privileged enough to spend a few days at the School of St Jude, Arusha. This is a school which has been created literally from the ground up by a very inspiring Australian woman called Gemma Sisia. Her mantra - Fighting poverty through education. Prior to our time at St Judes we saw many of the public schools in our travels through Moshi and smaller villages in the Kilimanjaro region. In these schools most classrooms have up to 100 kids trying to learn from a single teacher (if their teacher has actually decided to turn up that day). These government-run schools are poorly resourced and really quite depressing, evident in the fact that you often would see kids walking in the middle of day and out of school. Later I found out this is because they would have walked for possibly several hours to get there, not had anything to eat all day and so they would be on their long journey home perhaps to fetch some water for their family. Incomprehensible! The contrast was immediate on our first steps inside the first campus of St Judes. The first thing that hits you are the immaculate grounds and facilities provided for the students (the school would easily compete with many of the top private colleges and schools in Australia). And then our first glimpse of the kids. I have never seen so many beautiful, happy faces. These kids absolutely love being here! And no wonder - it is such an amazing school! In a matter of only ten years, Gemma together with her many supporters, has built a school which has grown from three students, a single teacher and one building, to an impressive three campuses. These cater for lower primary, upper primary and high school with 1500 students, of which 1000 are boarders. 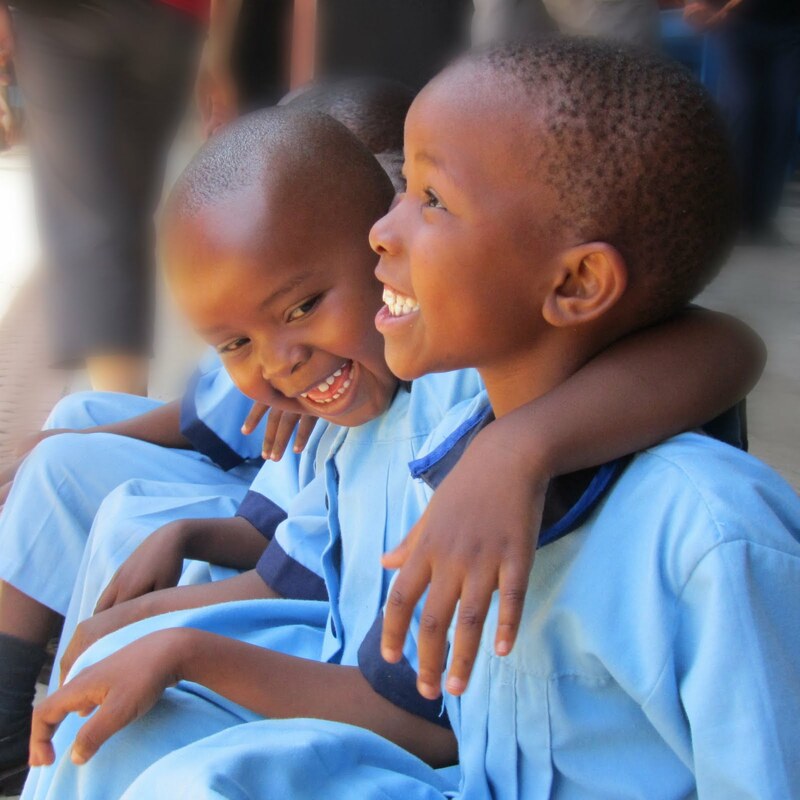 The kids we got to speak to, work with and play with, all have one thing in common - they come from the poorest families in Arusha and competed against more than 20,000 other children to be accepted into the school. Every single one of them is incredibly driven, intelligent and has a sparkle in their eye. These kids will be the leaders of Tanzania in years to come I'm sure. And the final highlight was getting to meet the little girl a small group of us sponsor. Irene wants to be a scientist, loves Giraffes and is very shy!